I was wondering if you ever release code and/or compiled programs? wow thats awesome will you be releasing source code for the object tracker? I won't be releasing the source for the object tracker right now. However, I will release it, after a few months. How bout that source code? I'd be interested in the source as well. I found it while googling around cause I'm also working on building a object tracker using a webcam. If possible I would like to take a look at the source code for your app. So if you feel like it, drop me an e-mail at frigolit@gmail.com. Can you send me the source code? I would like to do some experimenting with this. I found your blog and I was astonished by your work capacity. Have you released the source code yet? If not, did you use matlab or did all image processing in c#? i am raga ranjitha.my b.tech project is the same as the one u r doing.please mail me ur code on color based object tracking. Im ranjitha. my btech project is the same as the one you are doing. plz mail me ur code on colour based object tracking. i can't describe how wonderfull your work seems!! your project is my finall project at my college.. iv'e allready find a way of detecting objects' but not tracking one of them..
i'll be more than happy, if you can help me with the code..
now i'm seeing all your projects, and it's amaizing!!! I am doing another simillar project , but in black and white. Can you kindly forward the source code for this application. I would love to work more on it. I am dying to experimenting with various ways to track objects using video stream such as this. Would you be able to send me the source code to this project so I can try out and see how this is done? Thank you so much and I love following up on your projects. They are so fascinating! My FYP is about real time color tracking. Can please you mail me source code on color tracking. Great job w/ everything. Ive got a few questions about the quality of the electronics and how it would affect the program's tracking ability. I'm also working on object tracking...but i'm still unable to get it to work. Wow, it's really a nice program! I'm very interested because my final highschoolproject is about tracking and correcting. Comparable with a self-targeting system. But we just can't figure out how to import a view from a webcam and use it to calculate te coordinates ( on the virtual x and y grid ) of the target! I hope you can help us and maybe send me te source...It's in C++ right? Just wondering did you ever release source? I am doing a student project using object tracking. I could really use some direction in writing my software so I was wondering if you could send me the source code. Hi Mr. Derhgawen, I really like your solution, can you tell me if the source code is available, i have a personal project at home i would like to implement. I'll understand if you don't want to share your code. Im Leon. I have an electronincs engineering project w/c more than a half of its part is very similar to your "Motion Tracking" just using a common web cam. The Coordinates, X,Y axis of the Location of the object is my primary concern. I need like that computation of you'rs in finding the coordinates in order for me to make calculations to move a real lethal weapon such as real rifle mounted to turret composed of Servo Motors to move it Vertical and Horizontal such as X,Y axis. Im not realy enhanced to MATHLAB. I may need your Ideas to Succeed with my Engineering. You could be my best resource person. My Email is "tin_bends@yahoo.com" I would be proud if you could add me on you Yahoo Messenger. If you are willing to share some Ideas on performing my project, please do me a message to my Email. By the way I titled my project "WEAPON CONTROLLER: AN ALTERNATIVE CONTROLLING MACHINE PREPLACEMENT TO PHYSICAL ARMED WEAPON HANDLING " using VB .Net language for my software. Please help me. Can i knows how you set your X and y which change with the movement of ball? Is it use any loop function? It's so awesome. Actually I've been studying about this tracking system. oops.. sorry I forgot to left my email address. Wow, increadable work as always. 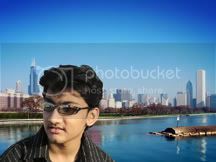 This is Parth from New Delhi. I really appreciate your work and think that it is really amazing to see how its working. I have currently completed my 3rd year of computer engineering and was implementing a code which could use your code. In regard to the same, I request you to kindly email me your source code so that I can use a part of it. I will put your name in the acknowledgments and send you a copy of my project. i realy interest to do about it. Can you send me the source code? m also intrested in the same. can u plz help me in coding. Hey, could you send me the source code for this? I liked your blog a lot... andi need your help.I am trying to do similar work for my project,It would be great if I can have a psuedocode/algorithm/sourcecode. Hi, could you send me the source code? hi,itz amazing & i need ur help ,please send me the source code. Hey, was looking around found your blog. Would love to see your source code for this color based tracking if at all possible? My email is userkevin41@gmail.com Thanks for your time. Did you use AVIcap? WIA? Directshow? hi your object tracking is so much amazing.. if you allow me, would you permit me to use the source code if you can please email me at duceamarish@yahoo.com. do you have any idea of real time object recognition? thank you hoping for your reply..
you just did the same I have to do for school and you did it fantastic. Is it possible to sent me the source code you´ve made. It would be great. You are very good programing. Can you send me the code? Thanks. hi it seems u made a great work. im trying to do a similar work in matlab for a school project. can u send ur matlab codes please. i love your blog, it's so cool!! btw, can you please kindly send me the source code for this project? i'm so interested on this project...it's amazing! thankz a lot! Appreciate it! your prog seems to be very good. could you e-mail me the app you used. Please not the source code cause I'm not very familiar with compiling. I always get error messages when compiling source codes and cannot fix them cause I'm not a programmer (yet). This piece of software will be used for doing some expiriments. I've also found this. It might give you some ideas. Did anybody get the software? It would be great if someone could tell me if it is possible to extract the X axis and Y axis for use with PPJOY. Is there a way to capture multi-objects with different colours at the same time? hi, i'm trying to track an object by color based. and your algorithm looks so fast and accurate! is it okay if i ask for your sources? please help me, i'm doing my graduation project and i'm experiencing a lot of trouble. Can please you mail me source code? it would be of so kind of you. Could I see your code ,please? I want to use its with my project. But I don't understand in this library. If you want to help me , please talk with me in MSN (suppakit@hotmail.com). Now,i' doing project about "object Tracking" by webcam.please to help me!.i would like some code of program to referance. Very nice work. I am interested in working similar to yours. Could you please send me you code at :wanher3@hotmail.com. Thank you. Can you publish source code? duse myself akash,,i am trying really hard to develope a code,foe this i am reading matlab help files.but i am not getting idea to develope the code. can u send me the code on this email.. I don't know if you ever actually do this, but i would love to experiment with your source code if you feel alright giving it out. I'm super impressed by this and your other posts. I'm a student and wouldn't be doing anything commercial. "real-time color object tracking "
can you send me matlab source code,i really want to try make it , and very very thank you. It would be wonderful if you could send the code to onwijzebackup@gmail.com. One question: have you included the possibility to output the X.Y.Z-values to an external target? Can you share the code now? firstly congrats! I need something like this to integrate it to a delta robot... are you sharing the code? if so please let me know freestylepro@gmail.com, else contact me so we can come to something. Thanks! hey brother..an awesome piece of work yet again!! could you please share the code .. m email id is pranjalbhown@gmail.com .. m trying to develop a different type of mouse using this technology..please help! Ashish, this is great work. Can I get source code? I'm very interested in seeing the implementation details. Ashish, this is excellent work. Can I get source code? can you pls send me the source code.i am working on a school project. Great work, can you please send me the code? My address is daisyroberts10@yahoo.com. Could you please send comptiled version to andrei.kudryavtsev@gmail.com ?